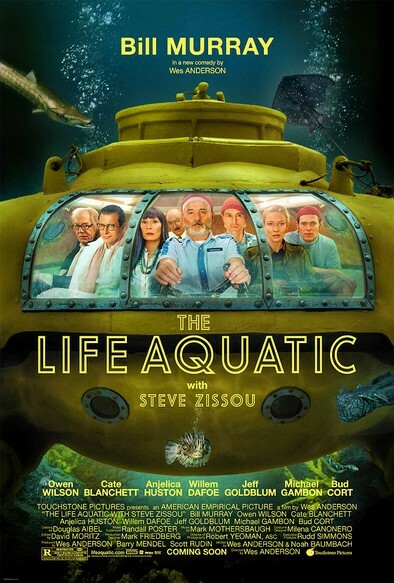 Story: Internationally famous oceanographer Steve Zissou and his crew - Team Zissou - set sail on an expedition to hunt down the mysterious, elusive, possibly non-existant Jaguar Shark that killed Zissou's partner during the documentary filming of their latest adventure. They are joined on their voyage by a young airline co-pilot who may or may not be Zissou's son, a beautiful journalist assigned to write a profile of Zissou, and Zissou's estranged wife and co-producer, Eleanor. They face overwhelming complications including pirates, kidnapping, and bankruptcy.